I am generally suspicious of anything that makes use of the metaphor "express." Unless you're my therapist trying to get me to express my emotions so we can get to the bottom of my irrational fear of fireplaces, I don't want to hear it. At least the Polar Express is an actual fictional train. In 2008, there was no way I was getting on board John McCain's "straight talk express" - heck, I don't even shop at Express. So when my only vegan friend (and founder of Go Vegan Santa Barbara), Carrie, told me about the iPhone app Vegan Xpress last month, naturally I was skeptical. Not only did the title of this app abuse the word "express," it went the extra step and dropped the "e." Dropping the "e" in "express" is probably only trumped in absurdity by replacing the "c" in words like "candy" with a "k."
But a recent experience at In-N-Out burger changed my mind about the Vegan Xpress app. No, I don't regularly frequent In-N-Out, but my friend Victoria was visiting California for the first time, and when she brought it up, I couldn't deny her the experience. So while she nommed on her animal style burger, I snacked on a side of fries. I knew they were vegan because I had Googled it (and Google is obviously always right). But it occurred to me how handy it would be to have an app that would list vegan options at restaurants that didn't prioritize vegan patrons: accidental vegan options, like the fries at In-N-Out. 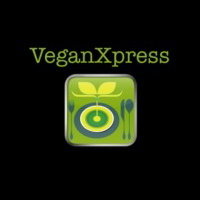 I got pretty excited at the idea of inventing this app, but then I remembered that it already existed: Vegan Xpress. So yesterday I decided to purchase it. Now, the only thing I dislike more than the appropriation of the word "express" is paying money for iPhone apps. My iPhone cost enough money already. But I justified this $1.99 splurge by telling myself that it would save me the gas money I would otherwise waste while driving around looking for a vegan restaurant. The app does four things. First, it lists vegan offerings at normal-people restaurants. So if I (heaven forbid) end up at a Taco Bell with my omnivorous friends, I can check out Vegan Xpress and... boom! I'm ordering the Fresco Bean Burrito. If I end up at Carl's Jr. I'm screwed, unless I feel like drinking some BBQ sauce. And now I know that while the french fries at In-N-Out are, in fact, vegan (as are the fries at Burger King), the fries at McDonald's are not (except, apparently, in Canada). The second thing the app does is list foods you can buy in a grocery store that are surprisingly vegan. For instance, almost any Wonka candy - Gobstoppers, Laffy Taffy, you name it - is vegan, and so are unfrosted pop tarts! Disturbingly, almost every kind of Oreo cookie is also vegan... so what the heck is the "cream" filling? But the best thing about Vegan Xpress is its last two functions: beer and wine. The app gets its info from Barnivore.com, which lists vegan beers, wines, and liquors. Now, I've known about Barnivore for a while, but the convenience of having an app to refer to while I'm wine shopping cannot be overstated. I've never made much of a point about drinking vegan wines, just because it's pretty impossible to tell which wines are vegan. Some vegans steer clear of wine all together for this reason, but... yeah, that's not gonna happen for me. 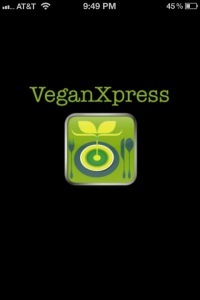 So now, a quick consultation with Vegan Xpress can give me some peace of mind! In fact, my mind is feeling very peaceful, since I am sipping on some vegan wine at this very moment. I was going to use it to cook something, but then I got distracted writing this post. Thanks, Vegan Xpress. Umm...best idea ever, and I'm purchasing as I type. Thanks for the heads up!! Love Vegan Xpress. It is also available for the Ipad and it was one of the first apps that I purchased. So handy! Thanks for posting about this app it is incredibly helpful.